You’re cordially invited to two exciting Arts to Grow events! The first one is a mixer this Friday where you can meet Arts to Grow volunteers and teaching artists. The second one is a benefit concert this Monday featuring David Strathairn and Jennifer Ehle. A portion of the proceed from both events benefit Arts to Grow. So, see you there! This entry was posted in Uncategorized and tagged Fee Events, Fundraising on April 11, 2013 by arts2grow. 5 Free Event to do with Kids this Weekend! 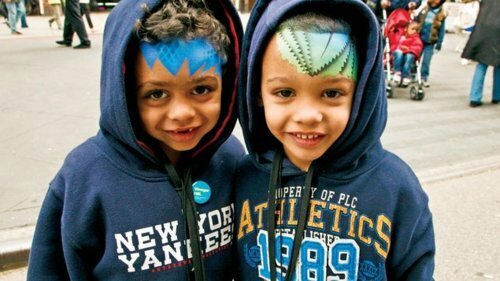 The Tribeca Family Festival is a day of family fun and lively entertainment. Throughout the Street Fair you’ll find talented performers, dancers, stilt walkers, Broadway performances, arts and crafts, face painters, puppet shows, music, games and much more. Students from dozens of local schools will also be at the fair with performances and vibrant student artwork. The Street Fair will also host restaurants, merchants and organizations from the Tribeca neighborhood. 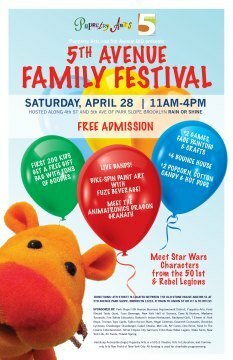 This family festival includes puppet and mask making, face painting, bouncy moon walk, cotton candy, hot dogs and more! Local BID restaurants like 7-Eleven and Baluchis will be selling food, and there will be live performances by local bands all day including the Berkley Carroll Jazz Band. Fuze Beverage will invite kids to create unique spin art with a bicycle and NY Life will give parents the chance to create ID kits for their kids. The first 200 kids will receive 5th Ave BID Gift Bags filled with tons of goodies. Special guests include Sandy the Seagull, the Good Neighbear from State Farm, and cameos by Star Wars Costume Volunteers from the 501st Empire City Garrison and the Echo Base Rebel Legion. Activities include $2.00 Games and Crafts, $4.00 Bouncy Moon Walk, $3.00 Snacks. Wheelchair accessible. Rain or shine. Healthy Kids Day® is the nation’s largest health promotion and education day, celebrated across the country at over 1,900 YMCA branches. This annual Y event brings children and families together to provide the education, activities, and experiences that teach good health and foster positive connections through fitness, sports, and fun.. As part of the Y’s commitment to strengthen New York City’s communities, Healthy Kids Day encourages kids and parents to commit together to keeping body and mind active this summer.This year’s Bedford-Stuyvesant YMCA Healthy Kids Day activities for kids and grown-ups include: • Kids Fencing • Family African Dance • Kids Relay Races and much more! YMCA Healthy Kids Day events are free and open to all ages. 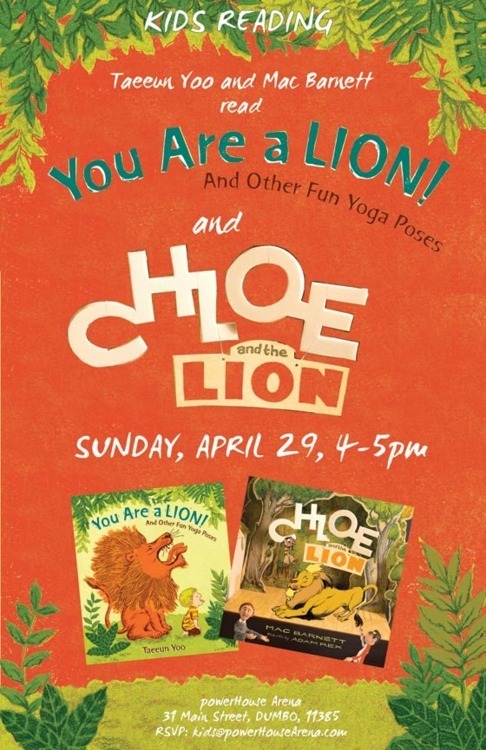 author and illustrator of You Are a Lion! And Other Fun Yoga Poses. 5. Race around the Farm Yard. Saturdays and Sundays, 2:30 – 3:30 p.m. 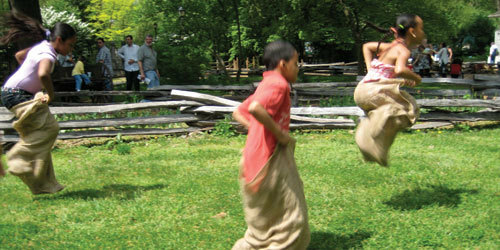 The whole family can participate in potato sack races, stilts, and other old fashioned games. Repeats every week every Sunday and every Saturday until Sun May 13 2012 except Sat May 05 2012, Sun May 06 2012. This entry was posted in Uncategorized and tagged Arts, arts education, Fee Events on April 27, 2012 by arts2grow. 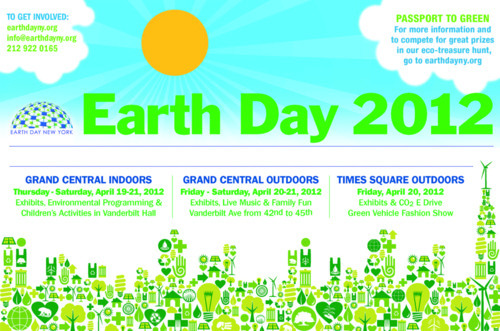 Grand Central Terminal’s Vanderbilt Hall is throwing its annual Earth Day shindig, which takes place both inside and outside the station. Inside, check out educational displays from eco-friendly companies along with activities for kids (Thursday, April 19-Saturday, April 21). Outside, though, is where the real action is, as the streets surrounding the terminal are turned into a giant fair with live music, green goods and educational activities (Friday, April 20-Saturday, April 21). On Friday, April 20, head to Times Square for even more entertainment, speakers and a chance to see the latest in green transport in a big runway show. A lovingly curated marketplace of independent artists and designers from Brooklyn and beyond. 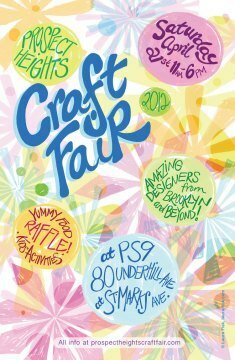 An extensive showcase of handmade treasures, such as stationery, textiles, artisanal food, jewelry, and so much more. This year, there will be a whole roster of kid activities from 12pm to 5pm. For only $5, your child can drop in (with or without a parent) to do arts and crafts, sing and dance, participate in a reading or test soccer skills. 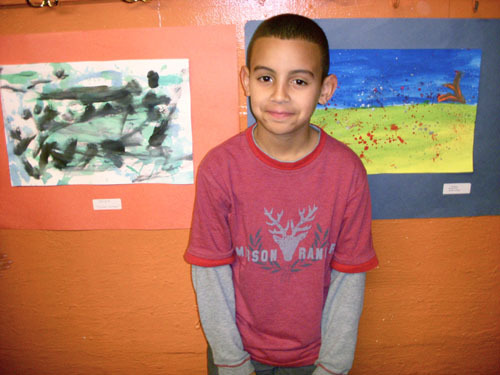 Proceeds from the fair benefit the Arts Programs at Prospect Heights’ very own public elementary school, P.S. 9. Say It Loud, Say It Clear! Collage, Stamp and Create Your Story! 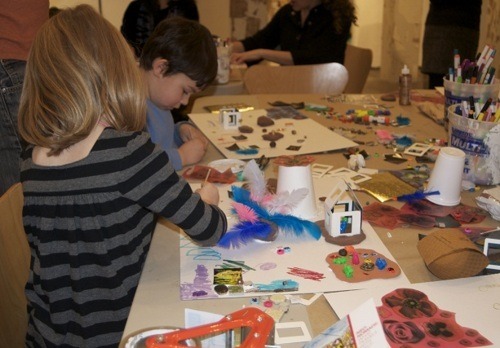 Join a professional artist teacher for an imaginative adventure in art-making inspired by BRIC Rotunda Gallery’s current exhibition on view, Mystics: A Blessed Rage for Order. Participants will observe works in the show that use the repetition of words and mark-making, and use that inspiration and process to illustrate their own personal experiences. Professional wooden panels will be provided along with alphabet stamps, fun stickers, foam letters, glittering gems, and drawing materials. Each participant will take away a magical representation of themselves and their process. 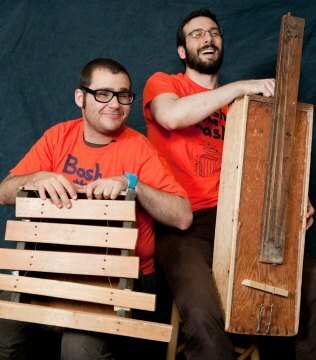 Bash the Trash returns for a third year in a row to Prospect Park’s B’Earthday Celebration! Instrument Building workshops followed by a duo performance of “Family Bash” with trash-bashers Nathan Hetherington and Martin Urbach, culminating in a joyously noisy parade! 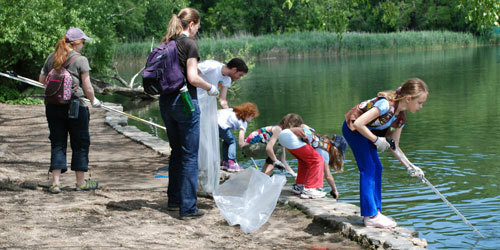 nature games, tours, lakeshore clean-up, educational activities, performances, and crafts. 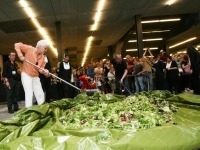 Fluxus artist Alison Knowles, in collaboration with Jessica Higgins and Joshua Selman, re-stages Make a Salad, an event originally performed in 1962. The artist chops lettuce and other vegetables to the beat of live music, and then produces a giant salad by tossing the ingredients together. Stop by to have a visual and audio experience of food preparation with live music by Joshua Selman. Alison and her team toss the salad in a performance for spectators. The audience is invited to enjoy the creation as the salad is served up. This entry was posted in Uncategorized and tagged Afterschool, Arts, arts education, Fee Events on April 20, 2012 by arts2grow. 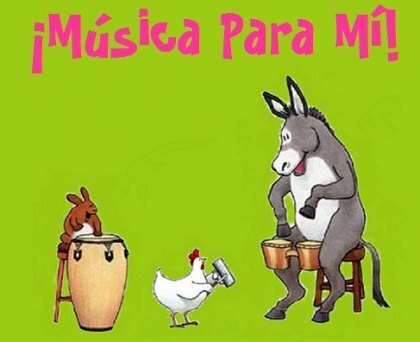 Musica Para Mi is NYC’s original music-in-Spanish program, making music with babies and toddlers since 1998! Join the fiesta at afree trial class between April 9 and 14! Starting Friday, April 13, a trolley will run from the businesses along River Avenue and across 161 St to the Bronx Museum, and back to Yankee Stadium – courtesy of the Bronx Overall Economic Development Corporation and SBS’ Avenue NYC program. On Sunday, April 15 at 3pm, visitors can hear Arlene Howard and Ralph Wimbish read from their book Elston and Me: The Story of the First Black Yankee. Repeats every day until Sun Apr 15 2012 . 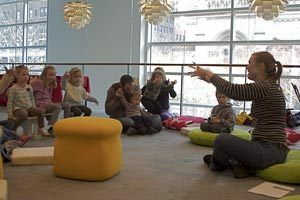 Some of New York’s most famous storytellers bring to life exciting tales of mythical creatures and fantastic adventures from Scandinavia and the far North. Repeats every month on the second Saturday until Sat May 12 2012 . 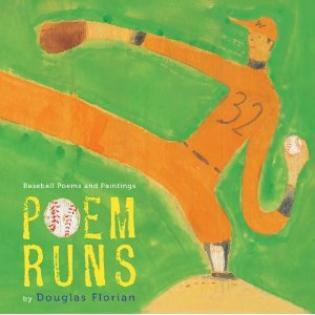 Head to Poets House for a morning of baseballs and bees as Douglas Florian reads hilarious poems from his two latest children’s books, Poem Runs andUnBEElievables. Afterward, kids will be able to pen poems of their own, and explore the exhibit A Florianthology: An Exhibition on the Art and Poetry of Douglas Florian. Spend time outside enjoying nature while helping to keep the Park clean. Gloves, garbage bags, and trash grabbers will be provided. Saturdays & Sundays, March 3 – May 27, 2 – 3 p.m. Repeats every week every Sunday and every Saturday until Sun May 27 2012 except Sun Apr 22 2012, Sat Apr 28 2012, Sun Apr 29 2012, Sat May 19 2012, Sun May 20 2012. This entry was posted in Uncategorized and tagged Arts, arts education, Dina's posts, Fee Events, Kids on April 13, 2012 by arts2grow. Meet and greet with summer staff and the Irondale Ensemble. Backstage tours, ice cream sundaes and fun games and sign up for Summer Classes. Early registration discounts will be honored at Open House and up until Saturday April 21. 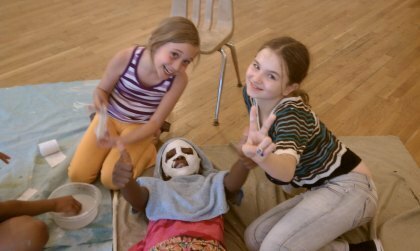 If you’re between the ages of 6 and 15 come to our two summer programs at the Irondale Center in Fort Greene – the coolest space in Brooklyn. Our two-week sessions are tailored to keep students’ minds engaged by providing a nurturing, safe, and artistic atmosphere. Led by professional Irondale Artists, young actors will experience various game-based workshops throughout the day. Workshops range from acting techniques, improvisation, movement/dance and character creation to storytelling, playwriting, and intro to design. Instructors encourage students to explore the power of creativity and develop an artistic voice. All sessions conclude with a performance for family and friends. 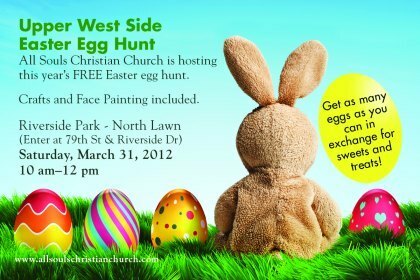 A fun-filled morning of egg hunting and decorating, crafts and face-painting. Registration begins at 10:00am. 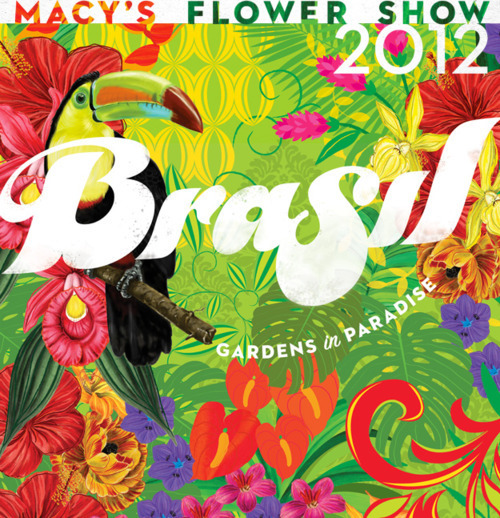 Bursting with color, excitement and energy, The Macy’s Flower Show is like taking a walk through Brazil itself! Experience the vast, lush wonders of the Amazon rainforest as you walk by towering palms, tropical plants and exotic birds. Explore ponds abundant with exotic plant life, walk down secret pathways and stumble upon a hidden rushing waterfall. Be transported to the cities of Brazil through colorful, vibrant gardens that adorn both mid-century mission-style villages and modern-day inner city neighborhoods, plus take in a striking view of Sao Paolo, Brazil’s largest city, from a rooftop garden oasis. Discover the starkly modern architecture of Oscar Niemeyer’s Brasilia, and be swept away by the curvaceous gardens and swirling mosaic walkways of Roberto Burle Marx. Repeats every day until Sat Apr 07 2012 . 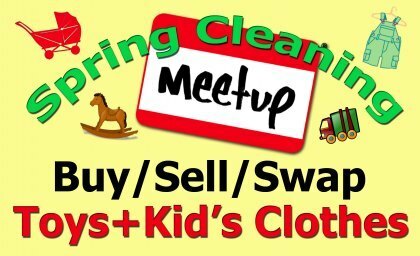 Spring is in the air and there is no better time to go through your kid’s closets and clean out! them. More than a dozen Brooklyn, Queens and Manhattan-based parents groups and “Meet Up’s” have now joined forces and are co-sponsoring one gigantic event to buy, sell, and trade kid’s toys and clothes in a centrally located warehouse in Long Island City. Admission for buyers is free. Sellers pay between $10 and $40 depending on the size of the table. This entry was posted in Uncategorized and tagged arts education, arts to grow, Dina's posts, Fee Events on March 30, 2012 by arts2grow. 1. St. Patrick’s Day Parade. The Parade starts at 44th Street at 11:00 am. 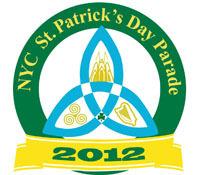 The parade marches up Fifth Avenue past St. Patrick’s Cathedral at 50th Street all the way up past the American Irish Historical Society at 83rd and the Metropolitan Museum of Art at 83rd Street to 86th Street, where the parade finishes at 4:30 – 5:00 pm. The upper steps of the Metropolitan Museum of Art provide a great view. You can get a close view of the marchers at 86th Street where the Parade route ends. The FIRST Mega Weekend brings three intense robotics competitions under one roof. Watch as teams from FIRST Robotics, FIRST Tech Challenge, and FIRST Lego League compete to win the regional competition and for a chance to go onto the national competition! Also, join us for a career fair, where you will be able to talk to college representatives and fortune companies about careers in technology! Takes place every Saturday. Members receive a Book Club Passport at their first story time, and a gift after attending 5 story times. Repeats every week until Sat Mar 31 2012 . Mama Doni – the Streit’s Matzo Girl – invites families to have some music with their matzos, when she brings her inimitable brand of “funky music with a Jewish twist” to the first-ever Mama Doni’s Passover Palooza, a family event for everyone who wants to get into the Passover spirit. 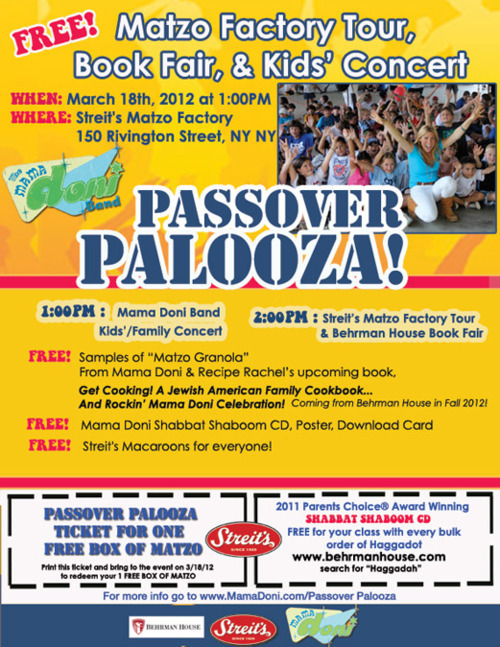 Passover Palooza will include a FREE Mama Doni concert, a tour of the Streit’s Matzo Factory where families can see Passover matzos being made, a Jewish book fair hosted by Behrman House Publishing, and giveaways galore. 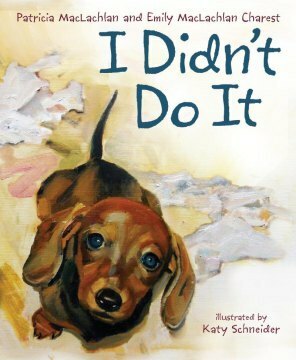 Katy Schneider will read from her highly acclaimed children’s book, “I Didn’t Do it,” discuss how she came up with the pictures, and even do some drawing. Her last book from this series won the Bank Street College of Education’s Irma S. and James H. Black Book Award. Anyone who loves dogs will not want to miss this event! This entry was posted in Uncategorized and tagged arts education, arts to grow, Dina's posts, Fee Events on March 16, 2012 by arts2grow.